What are the prices of your sculptures? 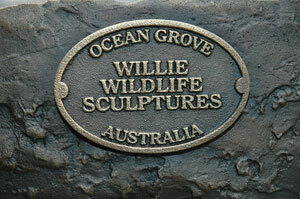 Please note that all our sculptures have either been signed or have our makers-mark badge so you know you are getting an original Willie Wildlife Sculpture piece of artwork. If you have any other queries do not hesitate to contact us. "The World’s Finest Birdbaths are the perfect finishing touch for any garden"